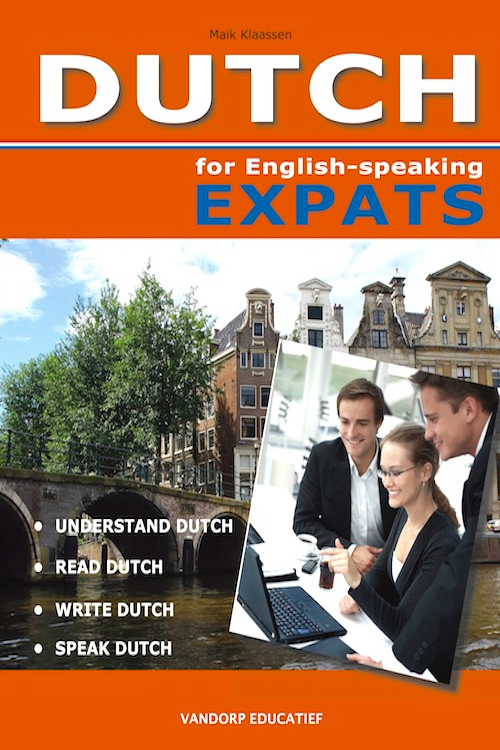 Dutch for English-speaking Expats can be used for self-study by the individual learner or under guidance of a teacher, either individually or in a group. It is suitable for absolute Beginners through to Advanced learners equivalent to level A1 through to B2 according to the Common European Framework of Reference (CERF). 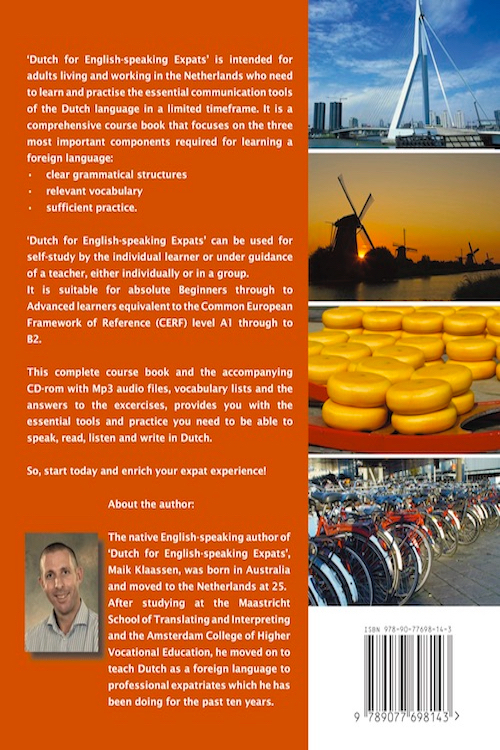 This complete course book and the accompanying CD-rom with Mp3 audio files, vocabulary lists and the answers to the excercises provide you with the essential tools and practice you need to be able to speak, read, listen and write in Dutch. So, start today and enrich your expate xperience! The native English-speaking author of Dutch for English-speaking Expats,Maik Klaassen, was born in Australia and moved to the Netherlands when he was 25. After studying at the Maastricht School of Translating and Interpreting and the Amsterdam College of Higher Vocational Education, he moved on to teach Dutch as a foreign language to professional expatriates which he has been doing for the past ten years. The audio files and keys that are used in the book can be downloaded here.